Roof flashing is an essential way to prevent leaking through your roof. The flashing acts as a sealer in between the joints in the roof, which is an efficient way of keeping water out. 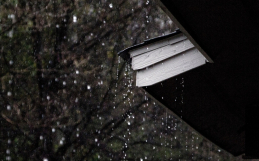 Certain areas of your roof and walls can be more susceptible to leaks and water damage. This is definitely true in the case of a dormer wall and its roof surface, roof valleys, skylight perimeters and the chimney. 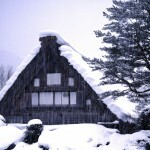 Wherever water runoff is heavy, or two surfaces meet, they will need a little extra attention by way of roof flashing. 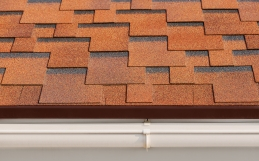 Popular materials used for roof flashing include galvanized flashing, copper, aluminum. The most common material for roof flashing is galvanized sheet metal. Aluminum flashing is usually used for homeowners who like to install their roof flashing on their own and copper is used especially for copper roofs. Flashing is most often formed through soldering, though there are a variety of different kinds of roof flashing. Chimney flashing will be used at the base of the chimney in multiple parts. There will be flashing around the bottom, step flashing around the sides, and finishing with saddle flashing around the top. 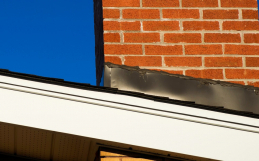 Additionally, when roof flashing around the chimney, one can use cap flashing to lap over the edges of the rest of the flashings to keep water out. 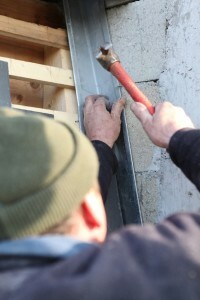 In the case of a vertical wall or a sloped roof, one will need to use step flashing. Drip edges will stop any water from trying to seep underneath the roof around the eaves. 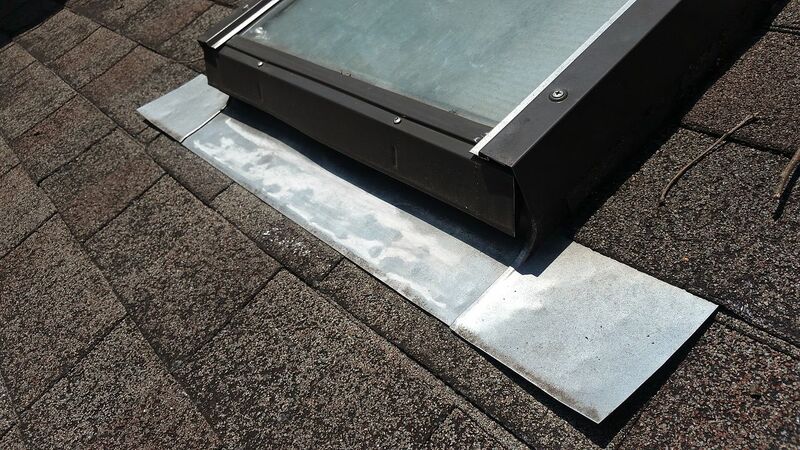 Around skylights, integral flashing is used as well as step flashing around the base, the sides and the use of saddle flashing around the top. The most common areas where leaks occur are where pipes are penetrating the surface or over the flashings in valleys. These areas should be sealed with special asphalt roofing cement. In order to prevent leaking around areas with pipes, one should invest in vent pipe flashing. This will stop leaking before it ever happens around the areas where the pipes are penetrating your roof or surface. Since flashing occurs at your home’s most vulnerable areas, it’s not uncommon for it to be damaged. However, damage can occur in several ways, like cracking, warping or being torn away completely. Flashing may become damaged because of poor installation, poor repairs, error during installation, age and exposure as well as weather related issues. The most obvious way to determine if your flashing is damaged and in need of repairs is if a leak reveals vulnerable areas. We recommend investing in pipe flashings as roof flashing isn’t something you can do on your own. 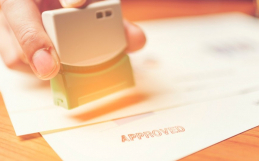 If issues are significant, call the experts at Warner Roofing. 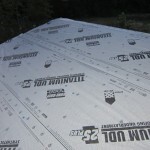 What is the Best Underlayment for Roof Protection?